My name is Nicole Conte! I work full time as the Territory Manager for the state of Alabama for Weight Watchers and I have been married to my Brazilian firefighter hubby Renan for 6 years. 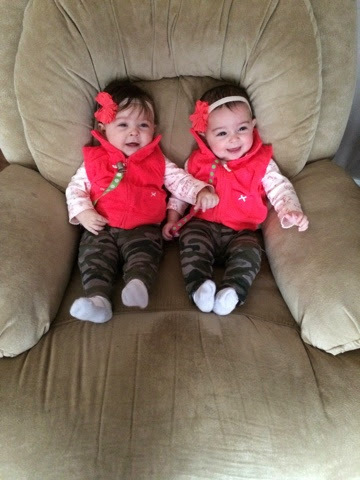 We conceived our precious baby girls Everly and Saylor through IVF and they were born July 3, 2014. So like most twin parents, I was appalled at the lack of sleep we got those first few months. Heck, the first night home I didn't know if I was going to make it!! But somehow, we learn to cope with that lack of sleep and life goes on. Modified CIO was the method we used. We didn't stick to a very strict time schedule, but we would let them cry for a period that we felt comfortable with and then go in and SOOTHE ONLY. Rubbing the face, patting the back, speaking softly, and giving the paci worked for us. Those first weeks took a lot of trips up and down and at times I felt I couldn't keep going.....but we did. It's very tough on a Mama and Daddy to hear screaming when we know that just bringing them in our bed would stop it all. That was not a healthy thing for us as a couple or for our girls to be able to get the best sleep possible. 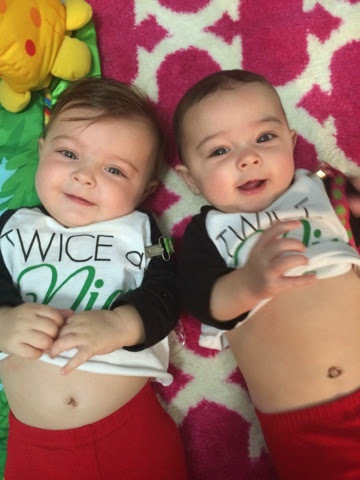 Healthy Sleep Habits, Happy Twins, will help you understand the importance of sleep and sleeping WELL for babies. Good sleep habits make life run smoother over all and with multiples....we will take all the smoothness we can get. Can i get an AMEN?? *Side Note: Speaking of AMEN, I truly had to give this training to the Lord and let Him guide us. There were times that I would feel that it just wasn't working and I must be a failure. Those were the times that I was trying to control it myself. Letting go and turning it over to the Lord helped to give me peace and strength to keep my eye on the prize, knowing that He had my back. Most people agree that a bedtime routine is key to getting them to recognize it is sleepy time. Well, I am anti night baths because my husband is a firefighter so every third night, i'm alone. Bathing 2 squirmy babies, by myself. No thank you!! So we tried doing what we normally did as the "routine." Big Bottle at 10:30 or 11pm and then putting them in bed drowsy but awake. My thought was, well, if we dont put them to bed until later, they will sleep later!! Nope. Not even close. 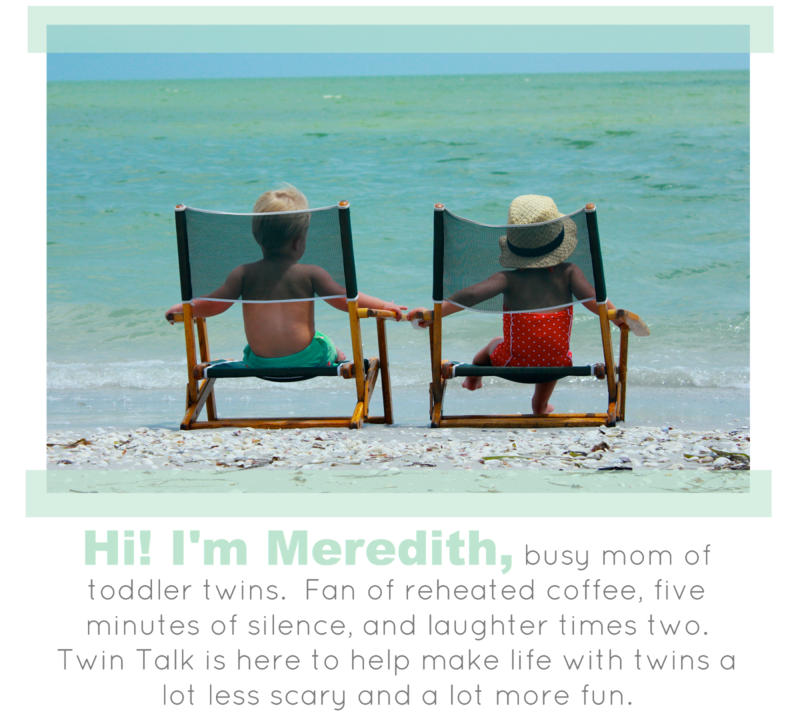 After talking with another Twin Mama, she suggested earlier bedtime and a very clear routine. Earlier bedtime was a tough thing for me to swallow because my husband and I are very social. We are part of a small group during the week and love going out to eat with friends. If we put the girls down at 7 or 8, that was going to severely hinder that, but we decided it would be worth it and committed to a new routine. Bath (sometimes its a sponge bath, but a bath nonetheless), Lotion, PJs, big bottle, low key time with us, then we put them in bed drowsy, but awake. Starting early bedtime and a clear cut routine, was key for us. Yes, we do have some times that we miss our social outings. 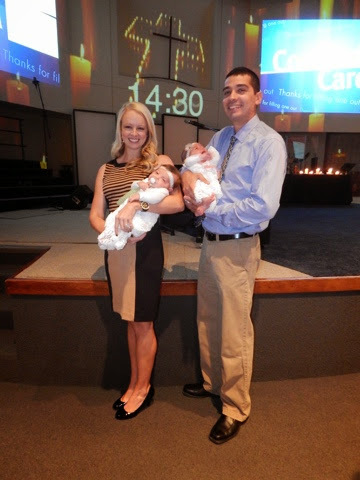 Some single child parents may have felt we were being over the top, but with 2 babies, with 2 different sleep habits, it was crucial that we set up a schedule and routine. As for missing out on social stuff, when I am curled up watching TV with Renan and the house is quiet with 2 peacefully sleeping babies......It's a good thing my friends! Bath time.... A team effort!! 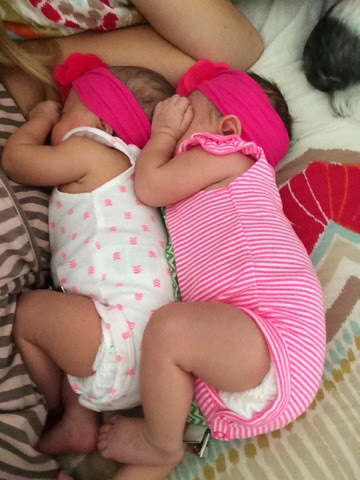 At this point, my girls were no longer nursing and on formula. Even with going to sleep at 7 or 8, they would still seem to wake up at least 2 times during the night to want to eat so that was our next goal. Weaning all overnight feeds. The best advice surrounding this was to try and get the jump on the babies BEFORE they woke up crying. We didn't want to associate crying with "Mommy is going to give me what I want." That would have defeated our purpose of the sleep training, but I also didn't want my babies to be starving at night and not go to them!! They typically woke between 11-12am for a bottle so we would try to stay awake until about 10:30 and then go in and do a "dream feed" while they were still sleeping. We would tip toe in, put the bottle in their mouth and let them drink until they were done. We started with a full bottle and every night or 2, I would decrease the amount by 1oz. The first night that we had weaned them down completely, I was scared to death they would wake up demanding that last oz, but they didn't!!! Now we had to do the same thing with the 4am bottle, and it too worked out great!! Now there were some nights that they woke up before we had a chance to give them the dream feed, and that was frustrating because I felt like it took us backwards a bit. My biggest tip here is to just keep on keeping on. If you feel like you need more than a couple nights between decreasing your feeds, then do whatever makes you comfortable. 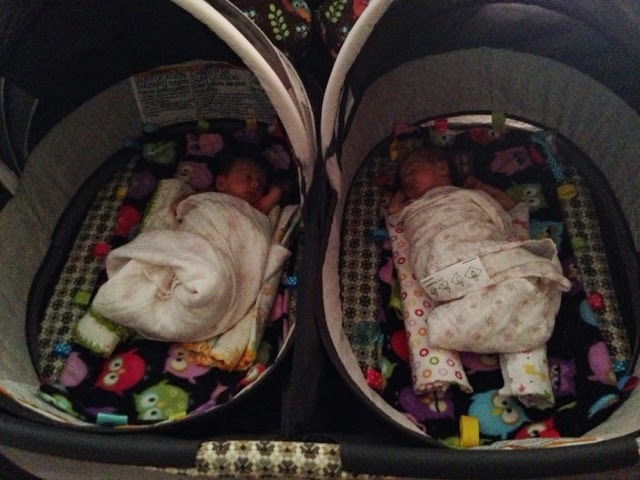 Sometimes when giving the girls just an ounce or two, they would get ticked off and start to get upset, but we would just pop in the paci and generally they would drop right back off to sleep. 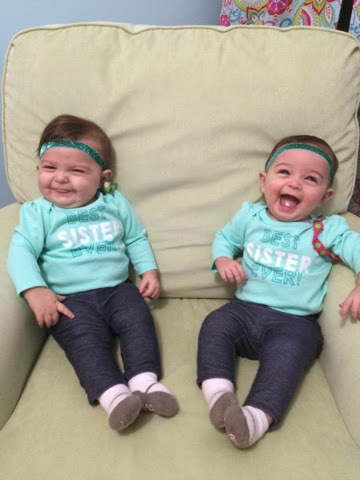 We started this right at 4 months old with the girls. 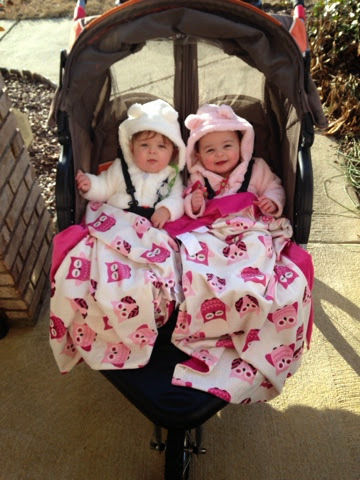 They just turned 6 months are we are FINALLY sleeping through the night fully. There are still times they may wake up crying a bit, but we try to let them get themselves back to sleep. They usually do and if not, we may just go in to soothe. They will go down around 8pm and don't wake up for the day until around 8am. It is absolutely glorious to have time in the evenings to talk with my husband and cook and eat dinner together, getting more than 5 hours sleep was made me a different human being, and my girls are happier babies. A nice side effect of this was naptimes. Being well rested at night makes for better naptimes during the day for us which is fabulous for a Mama that works full time from home!! Was this tough? Yes. Probably one of the toughest things I have done as a mother. Was it worth it? 100 million times YES. It's one of the things that I am most proud to have accomplished as a mother thus far. We didn't do this by the "rules" per say. 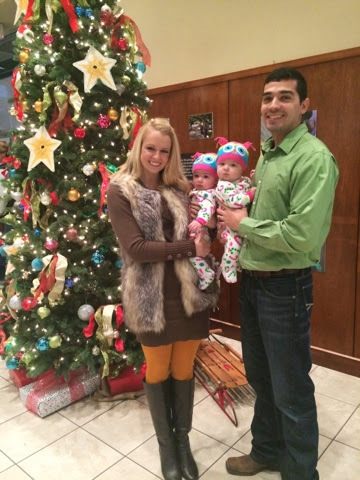 My husband and I looked at what we wanted to accomplish and what would work best for us as a family to get us there. It did take longer than "they" say it would take. We had some things that set us back and things that we realized in the rear view weren't the best decisions. But we learned from everything. If this is something you are thinking of attempting with your babies, i want to encourage you to GO FOR IT! You may have stumbles, but just keep your eye on the finish line. You will get there....no matter how long it takes! If only we could all sleep like this! !